Looking for a jet black, ultra luxe mascara? I’ve really enjoyed using Givenchy Noir Couture Volume mascara (R580, Red Square) in Black Taffeta. 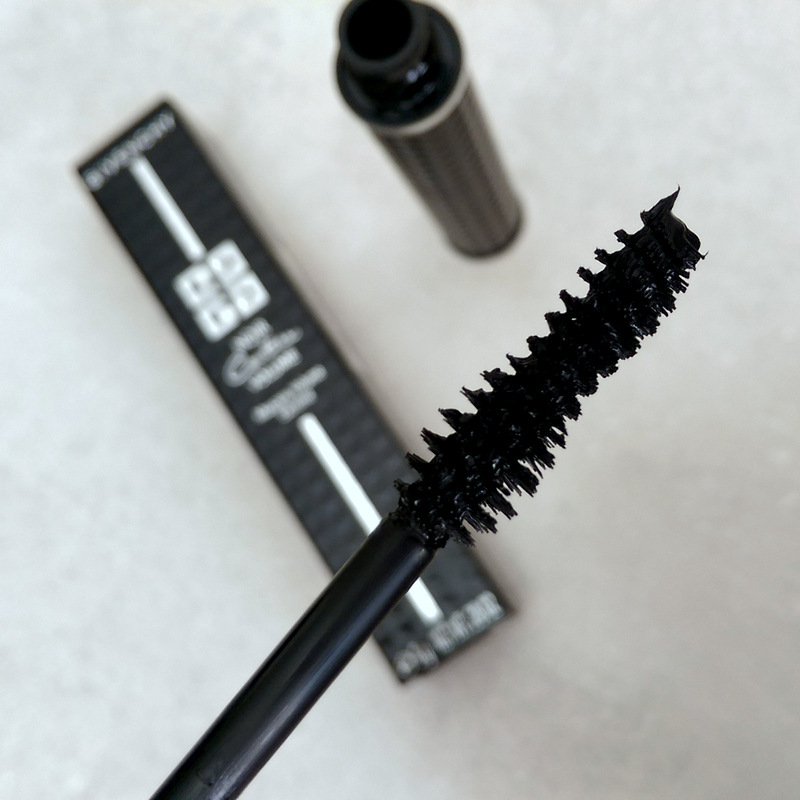 It’s ultra, ultra black, delivers a serious dose of volume without any clumps and doesn’t flake or smear making it the mascara I most reach for it when I’m heading out at night. The fabs? A duo bristle brush that’s smaller at the tip catches and extends the outer lashes while the larger section of the brush loads product like a boss. Formulation-wise, you’re looking at keratin-filled silica microbeads to plump and a conditioning complex to protect and nourish each lash. But let’s let the piccies talk, shall we? My non-existant lashes on the left and ONE coat of Givenchy Noir Couture Volume mascara on the right. At just under six hundred bucks this beauty doesn’t come cheap but if you don’t mind the splurge this is one you won’t regret. Every beauty ed I’ve spoken to who’s received this boy has also loved it to bits.